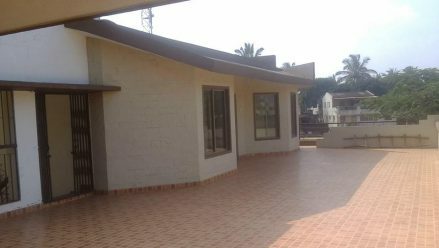 4 Lavish flats and a Penthouse in the business centric location, Angol, Belgaum. One minute walk to Harimandir, BigBazar, ThirdGate and close to the best of Colleges, Restaurants etc. Excellent for a Joint Family or a Nuclear family who wish to stay close to their loved ones. All flats are 3BHK and range from 1800-2000 sqft each with spacious car parking which can comfortably accommodate 6+ cars. The Building isn't an RCC one but a Load Bearing with 100+ years of structure stability and therefore may not be suitable for an Investor/Builder thinking of increasing the height of the building. But once anyone learns the price to possess these flats/pent house, it would make this offer an irresistible one. The entire Building is approximately 10,000 sqft builtup and it comes to you with an unbelievable price of rs 2800/sqft (incase of individual buy) and Rs 2600/sqft (incase of entire building purchase). Look at the Pictures and at the Price and decide for Yourself.